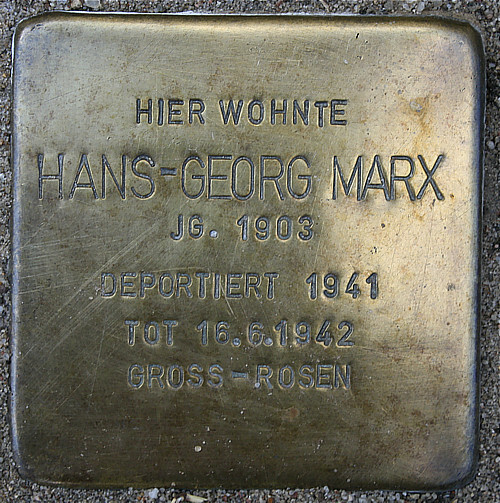 Hans-Georg Marx (1903 - 1942) lived until 1941 at Huttenstraße 1. In 1942 he was sent to the Groß-Rosen Concentration Camp. According to the Secret State Police, he was classified as an enemy of the state and of the people. On 16 June Hans-Georg Marx died, at the age of 39. 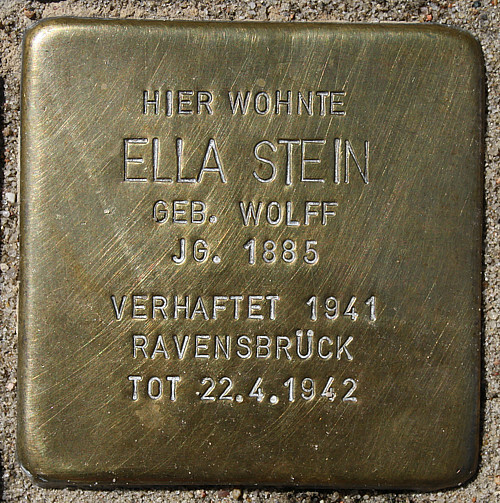 Ella Stein, née Wolff (1885 - 1942) lived at Huttenstraße 3. She was married to Georg Stein, who emigrated to Palestine in 1939. Ella Stein lived until 1941 in Huttenstraße. 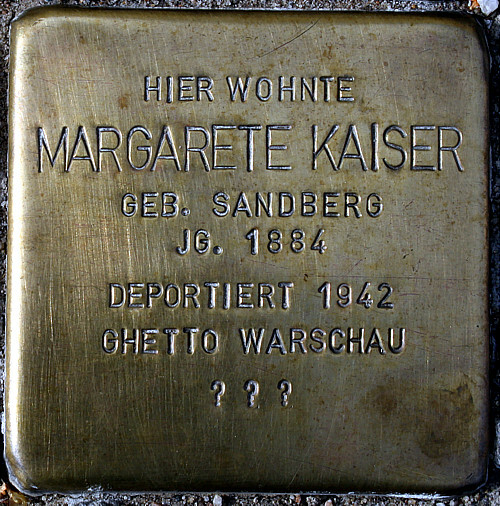 She was deported to Ravensbrück Concentration Camp, where she died at the age of 57. Betty Herzberg (1886 - ?) lived at Huttenstraße 4. At the age of 56, she was deported to Riga. Nothing is known about her fate from then on. At Huttenstraße 8 lived Paul Boschwitz (1873 – 1940) with his wife Else Boschwitz, née Brauer (1882 – ?). The native Frankfurter ran a leather shop here. He had another shop in Bahnhofstraße. 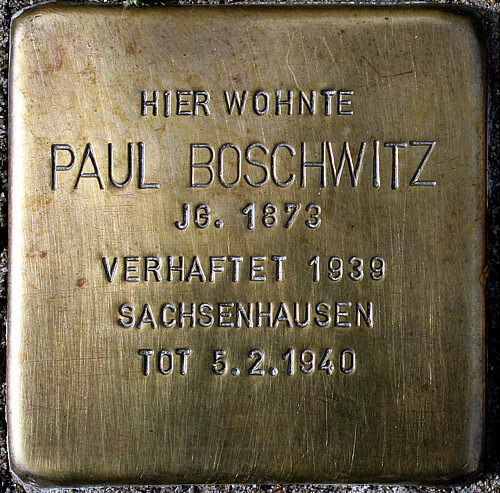 In 1939 Paul Boschwitz was sent to Sachsenhausen Concentration Camp. He died there 8 weeks later. His wife had to go to Ravensbrück Concentration Camp. In April 1940 she was released after committing herself to emigrating to Shanghai. 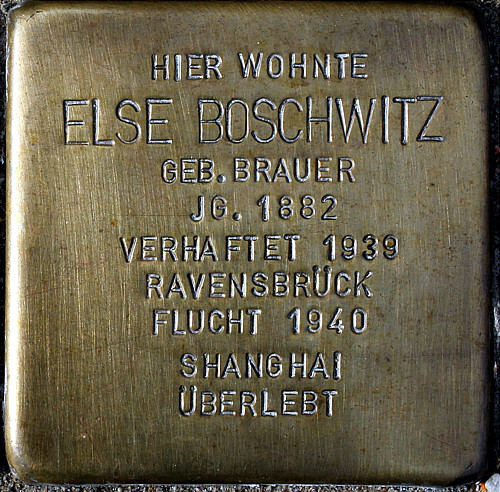 Just two weeks after her release, Else Boschwitz left Germany for Shanghai. Nothing is known about her fate from then on. Georg Kaiser (1878 – ?) und Margarete Kaiser (1884 – ?) lived in the same building. While Georg Kaiser, who was born in Frankfurt, ran a clothing shop, his wife was a nurse. 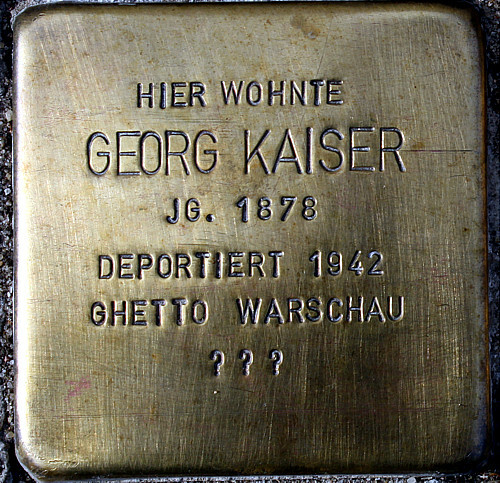 Georg Kaiser was a voting member of Frankfurt's Jewish community. After having to give up his shop, he declared himself to be a cooking helper in the Jewish community. The couple were deported together to the Warsaw Ghetto in 1942. Nothing is known about their fate from then on. 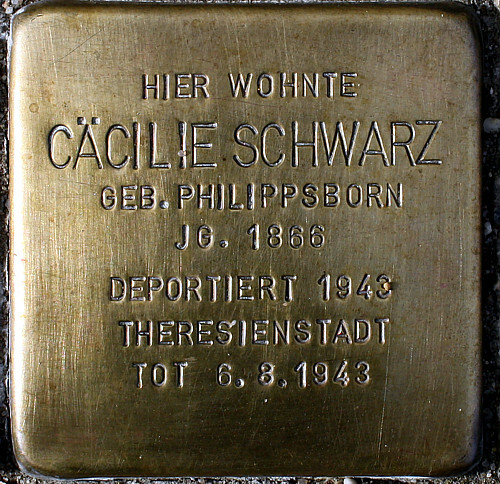 The widow Cäcilie Schwarz (1866 – 1943) was a further Jewish resident of the building. 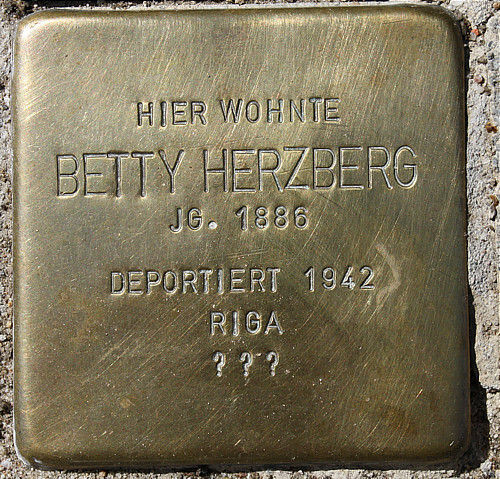 In 1943 she was deported to Theresienstadt. She died there 5 months later.